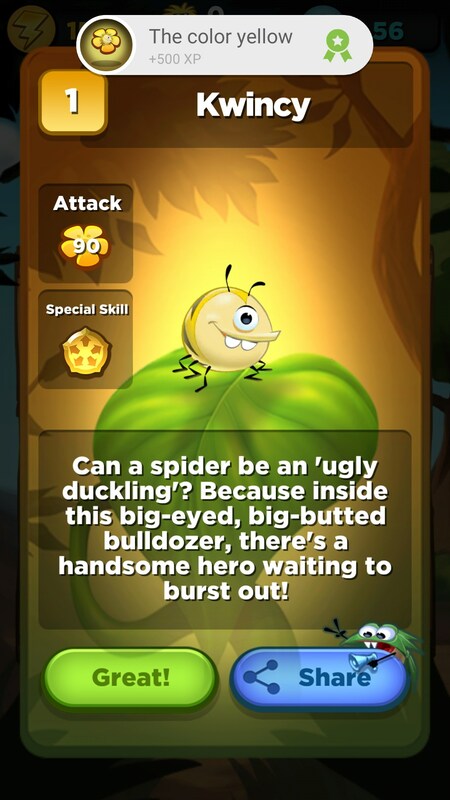 Best Fiends – Games for Android 2018 – Free download. 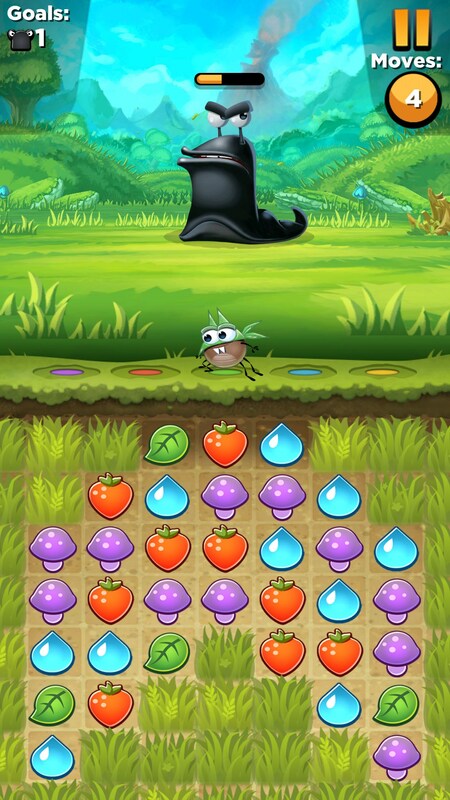 Best Fiends – Fresh take on the match 3 genre. Best Fiends for Android is a really fun and, dare I say it, fresh match three game. 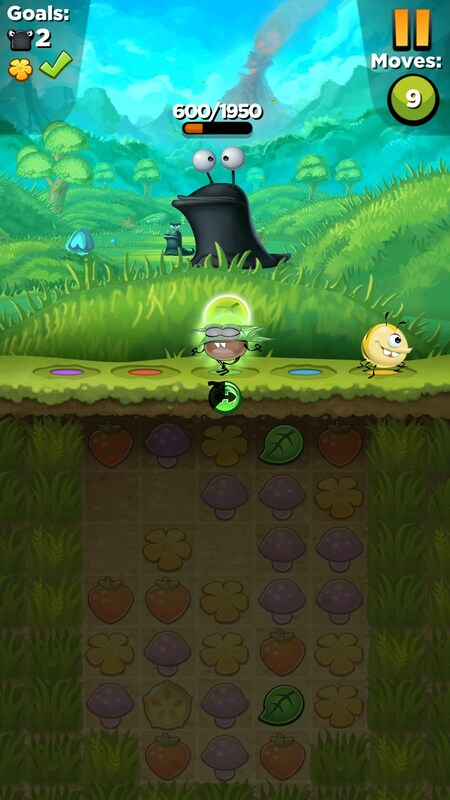 You start off in a peaceful world, just matching colors together with a green alien fiend, when suddenly these black alien slugs seem to take over the land. 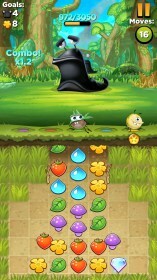 You quickly find you and your best fiend fighting off these evil slugs with a party of other color-based fiends. 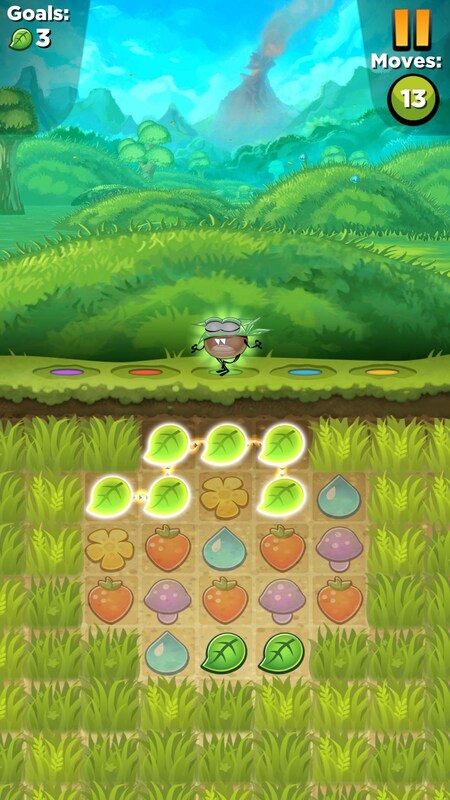 The gameplay is only one part of a larger set of mechanics at play, which already sets it a bit apart from its peers. You’ll be matching colors together, but you can do so by linking them together in just about any direction. 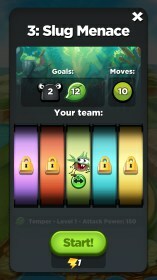 Each color matches with a fiend, and you do more damage to the enemy slugs if you match colors according to the colors of the fiends you have in your party. 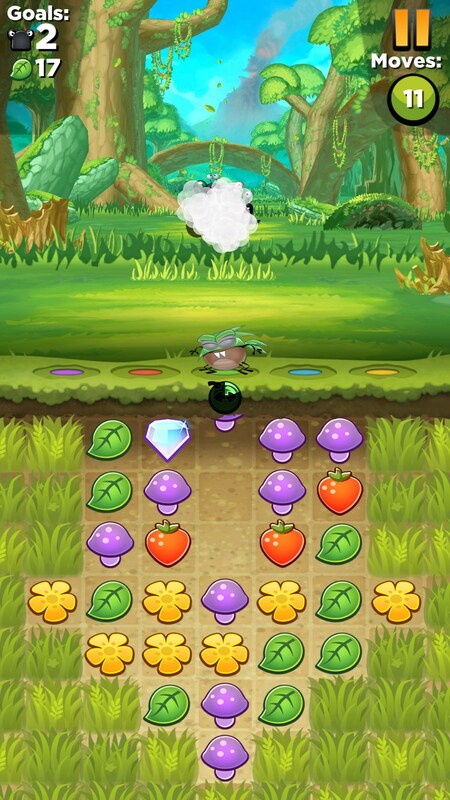 When you match several colored tiles you’ll get cool power-ups to really help you out. The other part is more of an RPG mechanic that you typically find in most mobile RPG games. You’ll collect party members and upgrade them as you go, but you won’t be feeding other monsters to each other in order to power them up. Instead you get a resource that you gather as you play. Fiends can get stronger and even evolve into other fiends. I found the gameplay to be really fun because the objectives and slugs made it pretty difficult, even early on. Unfortunately, you are limited by what you can play because the game uses “energy” in order to play. Devs use this to try and incentivize players to purchase more energy, but it only succeeds in making me want to uninstall the game. I don’t have the time or patience for any game that wants to punish me for wanting to play it. 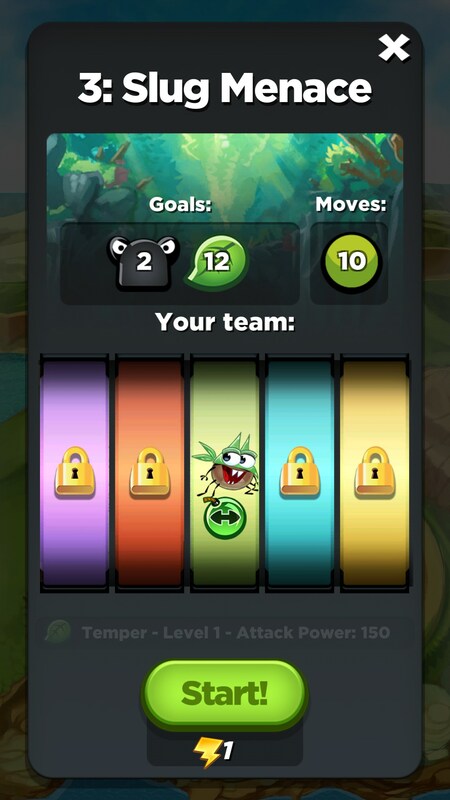 Best Fiends is one of the first match 3 games on a mobile platform I’ve really enjoyed, but I will always have a huge problem with any game that tries to curtail how long I can play it. The game is polished, it’s fun, and the upgrade pacing is really great. Now if they’d just released a paid version that took the energy system out, I’d be completely happy with it. I don't think it is available.. I was on level 136 and lost it all.may start over but I sure wish the owners would restoremy game. 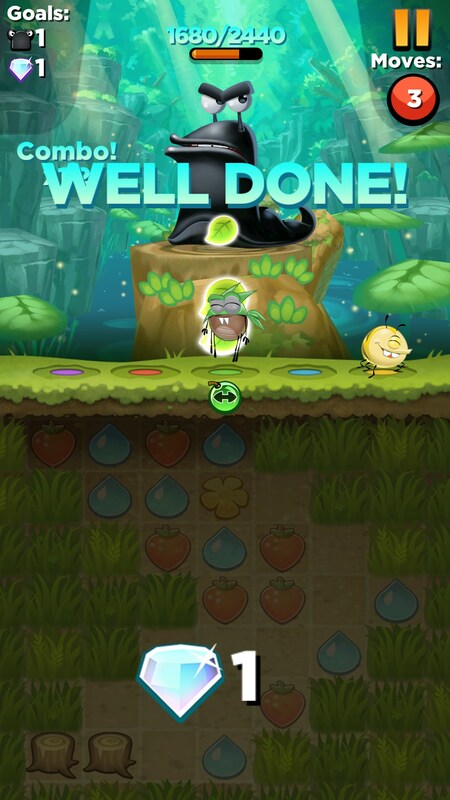 hey, you'r progress might have been saved through your google play account... try running the game again and see? Well try playing the game up to level 127 and tablet crashes and know it won't reinstall or update,Nada! have you tried restarting your tablet?